Back in September 2018, the College of Engineering offered seed funding to promote new collaborations between researchers focused on developing aggressively forward-looking, transdisciplinary research projects. A team of individuals who are committed to working together to develop at least one full proposal submission within 18 months with at least one member in the College of Engineering were the only requirements. 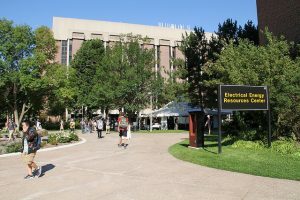 Otherwise, team members could be at Michigan Tech, across the nation or across the world. The College of Engineering awarded ten Stage 1 seed grants in October. In November, the college received 15 Stage 2 proposals which were reviewed by a group of six faculty members representing interdisciplinary research across campus. Judging criteria included the funding track record of the PI/team, likelihood of funding and potential amount, interdisciplinarity/transdisciplinarity of the project and newness of the interdisciplinary team.